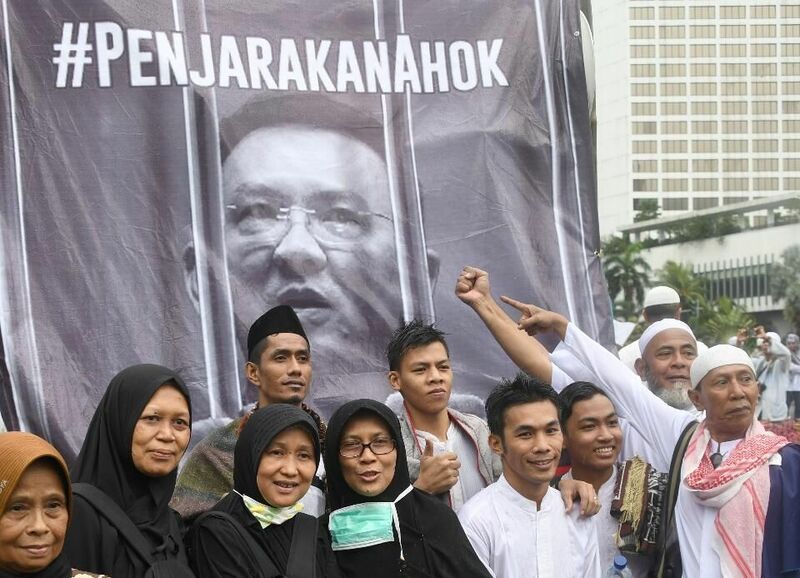 This article examines the forces behind former Jakarta governor Basuki Tjahaja Purna’s recent imprisonment and the subsequent political upheaval in Indonesia. 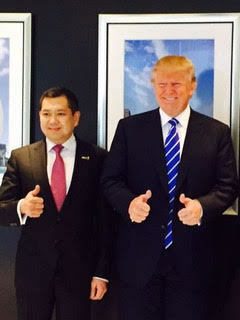 It delves into the murky ties between President Donald Trump’s most important Indonesian business partner, multi-billionaire Hary Tanoesodibjo and the latter’s relationship with pro-Islamist politicians and the military to evaluate the consequences of political turmoil on the future of Indonesia. The recent defeat in Jakarta of progressive reformer Basuki Tjahaja Purna (“Ahok”), a Chinese Christian, followed by his imprisonment for blasphemy, has alarmed western observers. Some in the west have attributed it to the increasing influence of Islamic extremism fueled by Saudi wealth. Others have pointed to nativist resentment of Ahok’s Chinese background. Recently Allen Nairn attributed it to a deep-rooted campaign by the once powerful Indonesian military to oust Ahok’s progressive mentor, Indonesia President Joko Widodo (“Jokowi”). All of these forces against reform in Indonesian are interconnected, and all are enhanced by increasing disparity of wealth in this new Gilded Age. 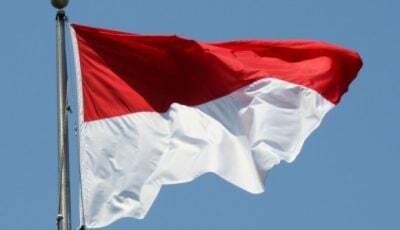 However the fundamental Indonesian reform achieved in 2000, restoring police independence from the military, has not yet been seriously challenged. “Ahok is a unique case in recent Indonesian politics,” said Jemma Purdey, a research fellow at the Australia Indonesia Center. “He did not rise through the ranks of any party but was an independent, administrator-style politician who was backed by rival major parties to get into the position he is in today.”…. The truth is, Ahok always had a target on his back. His style and policies were a threat to Indonesia’s establishment, and the small circle of political leaders under whom most power still remains…. Freeport McMoRan Inc collected a permit to resume copper exports from Indonesia on Friday after a hiatus of more than three months, hours after a state visit by U.S. Vice President Mike Pence, who discussed the copper miner’s dispute with Jakarta…. The dispute has cost the company and Indonesia hundreds of millions of dollars. Jakarta has said it would halt exports again if negotiations over sticking points were not resolved within six months. Freeport has also warned Jakarta, saying it had the right to commence arbitration by June 17 if no agreement was reached. Pence thanked Indonesian President Joko Widodo for the interim solution to the Freeport dispute on Friday but said more steps were still needed, a White House foreign policy adviser said. In this global partnership, the new superwealthy, exemplified by Trump’s many dubious business partners abroad, are united by their search for tax relief and freedom from governmental interference.27 Their combined wealth and influence may do at least as much to account for the ousting of progressive-minded Indonesian political leaders like Ahok, as the Salafist extremist movements that are being funded from the Arabian peninsula. One should not despair at this development. Indonesia took a major step towards a more open society when, in 2000, reformers separated the police from the military. This has made it possible for those guilty of corruption or official violence to be convicted and punished; and violence in general has abated considerably since the thousand deaths in the 1998 riots. The future of Indonesia may depend on whether this huge structural reform can remain in place. To appreciate its importance, consider events in Poland in 1981, when the deployment of army units to assist the Interior Ministry in keeping domestic law and order was a necessary prelude to the imposition of martial law and the destruction of the Solidarity Movement.28 Americans in particular should worry more about their own country, where since 9/11 the army, in violation of the Posse Comitatus Act, now plays a significant role in homeland security. This includes the surveillance of U.S. citizens, and the permanent domestic deployment since 2008 of a U.S. Army Brigade Combat Team, which can be “called upon to help with civil unrest and crowd control.”29 So far Americans seem to be less concerned about the risk of martial law than Indonesians, who still retain such bitter memories of it. 1On the night of March 8, 2017, after Ahok failed to win an outright victory in the first round of his campaign for the governorship, Anies Baswedan, the ultimate victor, visited the home of Hary Tahoesoedibjo and secured his public support (Saeun Muarif, “Hary Tanoe Resmi dukung Anies, Kenapa FPI Diam?” Seword, March 10, 2017). 2Margaret Scott, “Indonesia: The Saudis Are Coming,” New York Review of Books,” October 27, 2016. Douglas Ramage agreed: “The Indonesia we used to talk about – Nahdlatul Ulama, Muhammadiyah – their influence has waned a bit” (Douglas Ramage, quoted in Nithin Coca, “The Fall of Ahok and Indonesia’s Future.” The Diplomat, April 21, 2017. 4Tom Allard and Agustinus Beo Da Costa, “Exclusive – Indonesian Islamist leader says ethnic Chinese wealth is next target,” Reuters, May 12, 2017. 5It should be noted that of those 1000, the majority were urban poor non-Chinese, most of whom were trapped in shopping malls that were set on fire. 6Nithin Coca, “The Fall of Ahok and Indonesia’s Future.” The Diplomat, April 21, 2017. 7Allan Nairn, “Trump’s Indonesian Allies in Bed With ISIS-Backed FPI Militia Seeking to Oust Elected President Jokowi,” The Intercept, April 18, 2017; reprinted with Introduction by me, Asia-Pacific Journal, April 27, 2017, here. 8Arya Dipa, 18 January 2017). “Petition calls for disbandment of FPI,” The Jakarta Post, January 18, 2017. 9Ian Douglas Wilson, The Politics of Protection Rackets in Post-New Order Indonesia: Coercive Capital, Authority and Street Politics (New York: Routledge, 2015), 151. 12Tonny, “Prabowo and his anti-Chinese past?” New Mandala, June 2014. 16Katie Reilly, “Donald Trump’s Indonesian Business Partner Says He Might Run for President,” Fortune, January 3, 2017. 17Nairn, “Trump’s Indonesian Allies.” Hary’s attendance raised an ethical issue when he told media that “he attended the inauguration on invitation and as a business partner of the Trump organization…. If other people have difficulty getting to [Trump], I can do it easily. I communicate with his children over our businesses. I can meet with his kids anytime. I just need to pick up the phone. My WhatsApp messages are also responded” (Andrew Kaczynski and Nathan McDermot, “Trump’s Indonesian business partner says he attended inauguration as a ‘partner of the Trump Organization’,” CNNMoney, February 10, 2017). 18See e.g. Matt Egan, “Trump adviser Icahn may have broken trading laws: Senators,” CNNMoney, May 9, 2917; Michelle Celarier, “Trump Adviser Carl Icahn Is a Blinding Supernova of Conflicts of Interest,” New York, January 2017. 19Jane Perlez and Raymond Bonner, “Below a Mountain of Wealth, a River of Waste,” New York Times, December 27, 2005. 20Jon Emont, “Foreigners Have Long Mined Indonesia, but Now There’s an Outcry,” New York Times, March 31, 2017. 22Anton Hermansyah, Viriya P. Singgih and Farida Susanty, “Jokowi warns Freeport,” The Jakarta Post, February 24, 2017. 23Richard C. Paddock and Eric Lipton, “Trump’s Indonesia Projects, Still Moving Ahead, Create Potential Conflicts,” New York Times, December 31, 2016. 24Jon Emont, “Foreigners Have Long Mined Indonesia, but Now There’s an Outcry,” New York Times, March 31, 2017. A month later TheMotleyFool reported that Freeport might be “be “on the verge of losing what is arguably its most important asset, as Indonesia prepares to strip ownership from it of the massive Grasberg copper and gold mine” (Rich Duprey, “Indonesia Still Looking to Strip Freeport-McMoRan of World’s Largest Gold Mine,” The Motley Fool, April 20. 2017. 25Fergus Jensen and Bernadette Christina Munthe, “Freeport collects export permit after Pence visit,” Reuters, April 21, 2017. 27Hary, already one of Indonesia’s wealthiest men, may even become Indonesia’s Trump. “Like Trump, he built his fortune–an estimated $1.1 billion–in real estate and media on a mountain of debt. He tweets nonstop to more than 1 million followers. He stages beauty pageants. He loves reality TV. He has a glamorous wife. Just as the tabloids boiled down Trump into a first name, The Donald, the Indonesian press likes to refer to Tanoesoedibjo simply as Hary.And Hary doesn’t seem content to stop there. He too has started aspiring to political power–specifically, the presidency of the world’s largest Muslim country, its fourth largest by population and its sixteenth-largest economy by GDP. Like Trump, this billionaire sees the path to power through an antielitist campaign…. “Tanoesoedibjo has the money to finance the electoral machinery and the media to actually influence public opinion,” says Rainer Heufers, cofounder of the Center for Indonesian Policy Studies, a Jakarta-based think tank. “He has, therefore, the potential to become a relevant political player in a relatively short period of time.” To Heufers, Hary gives every sign of moving Indonesia from a participatory democracy to one with a more authoritarian bent” (Abram Brown, “Meet The Donald Trump Of Indonesia: Another Billionaire Who Wants To Be President,” Forbes, March 28, 2017). 28Timothy Garton Ash, The Polish Revolution: Solidarity (New Haven: Yale University Press, 2002), 247. 29Peter Dale Scott, The American Deep State (Langham, MD: Rowman & Littlefield, 2014), 9; citing “Brigade homeland tours start Oct. 1,” Army Times, September 30, 2008. Many fear also the risk of their possible internment and confinement, since the Army Field Manual (FM 3.39; 2-40) now envisages “I/R [internment/resettlement] tasks performed in support of civil support operations [that] are similar to those during combat operations” (U.S. Army Field Manual, 3.39, Chapter 2: Internment and Resettlement in Support of the Spectrum of Operations, 2-40). I have argued for a decade that Americans should demand the lifting of the State of Emergency enabling this that was proclaimed in September 2001 (itself now arguably illegal under the National Emergencies Act, 50 U.S.C. § 1601-1651; Scott. American Deep State, 40-41). All images in this article are from the author except for the featured image which is from Pinterest.